The module attracted a fair amount of interest, but its use was limited; at least one dedicated server was needed to make it work. Furthermore, the market was not sufficiently mature to embrace this type of application. But that’s all changed. 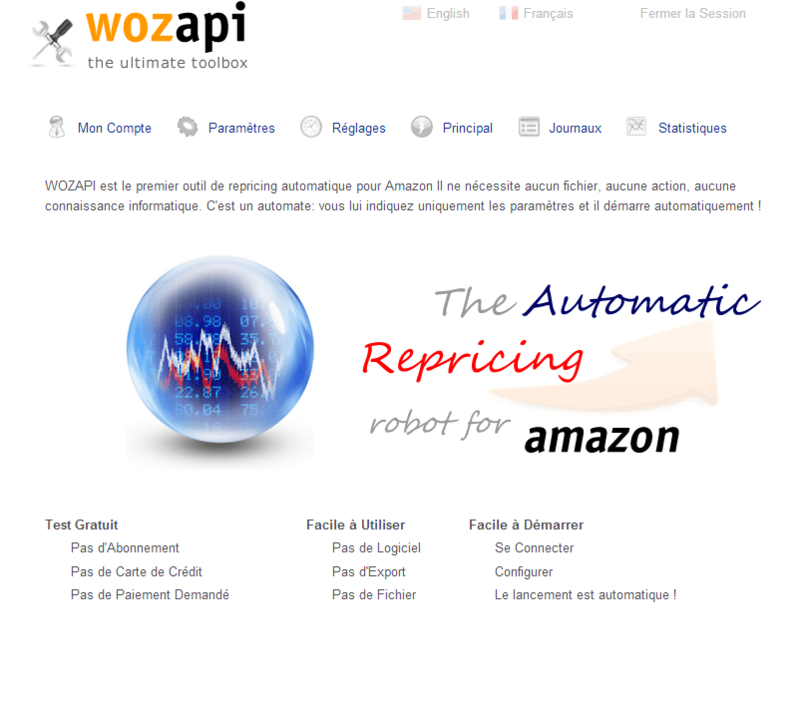 wozapi.com offers a completely automated repricing solution for Amazon. There’s nothing new about a repricing site; there are dozens of them in the Americas, and several service providers in Europe who offer more-complete solutions with workflow management. 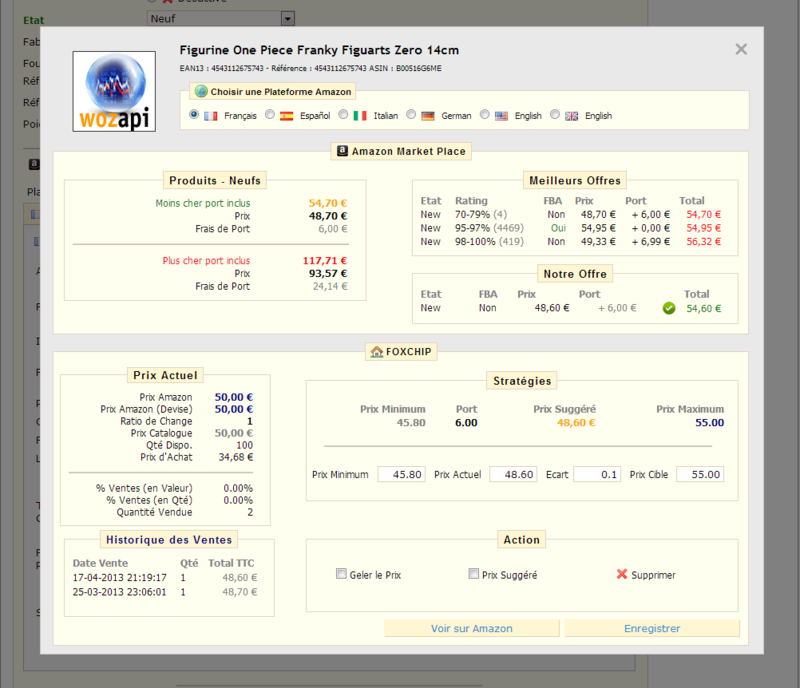 But Wozapi is the first completely automated European repricing site. No technical or IT expertise is needed to implement it. Wozapi is completely independent. The site is not linked to any module or CMS. 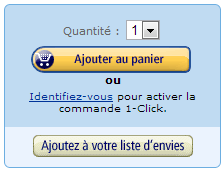 It interacts only with Amazon to calculate competitive prices. To try it, just create an account with your e-mail address, set a few parameters, and from there, it’s all automatic. You can set parameters for upward margin, downward margin, how aggressive you wish to be with your competition, etc. The site is streamlined: it offers only the expected functionality and a record of your activity. Wozapi is compatible with Amazon Market place for Prestashop and has a dedicated gateway that allows it to interact with the module and manage optimized pricing strategies, increasing efficiency while remaining transparent and automatic. Repricing is a technique of continuously scanning competitors’ prices and positioning yourself to meet them head-on. Repricing works just as well for increasing prices as for decreasing them. If one of your competitors has no more product available, your price will be raised, which will make up for the shortfall there would have been had your prices remained lower. This way your margins will be continuously adjusted. You get the advantage of meeting an overall goal in your gross margins, rather than item by item. For instance, you can decide to sacrifice products at the end of their life cycle and maximize margins on products with strong commercial potential. OK, but what’s the Buy Box ? The Buy Box is the box with the “Add to Shopping Cart” button. In general, the Buy Box “winner” is the most qualified seller. Amazon sellers are qualified based on various parameters such as buyer satisfaction rate, item price, shipping costs, etc. The Buy Box winner isn’t necessarily the seller with the lowest prices. But price is one of the elements that qualify a seller for the Buy Box. When you win the Buy Box, you multiply your chances of increasing sales. The more you hone your strategy, the greater your chances of getting the Buy Box. Wozapi lets you develop competitive strategies for your overall sales or for one product at a time. It’s the strategy manager. Each strategy is applied by a bot that constantly scans your competitors’ offers and positions your product according to parameters you have set. Natively, Wozapi does not have a graphical interface. But when coupled with the Amazon Marketplace module for Prestashop, it is perfectly integrated. This screen has a number of supply and demand indicators, somewhat like a trading room (stock exchange). – There is a current price indicator which shows whether your price is the most competitive. – Prices are displayed for each marketplace where you sell, in the corresponding currency. – Sales history shows how much prices fluctuate. Within the strategy, you set an “aggressiveness factor” or percentage. The “aggressiveness factor” allows you to counterbalance any deficiencies that may be present in your quality indicators, and in turn, deficiencies in your eligibility for the Buy Box on Amazon. If your seller rating is weak, the more you increase your “aggressiveness factor,” the better your odds of getting the Buy Box, which will in turn give you a second chance at improving your quality rating for those new sales. For up to 30,000 products, the price is 5 euros per marketplace with a minimum of 20 euros in monthly invoicing. For example, if you sell in all the Amazon Europe marketplaces (France, Italy, Spain, Germany, and the UK), your monthly cost will be 25 euros. For more than 30,000 products, service is customized, and the price will be individually quoted. Do not hesitate to use our contact form. We will respond as soon as possible, usually in less than 48 hours.